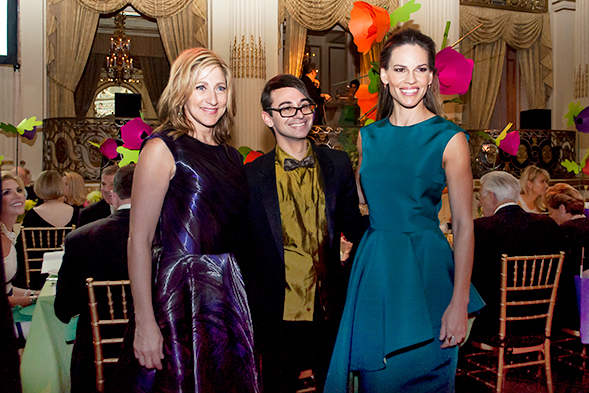 The ASPCA was excited to honor award-winning actresses Hilary Swank and Edie Falco at our 18th annual ASPCA Bergh Ball on Thursday, April 9. 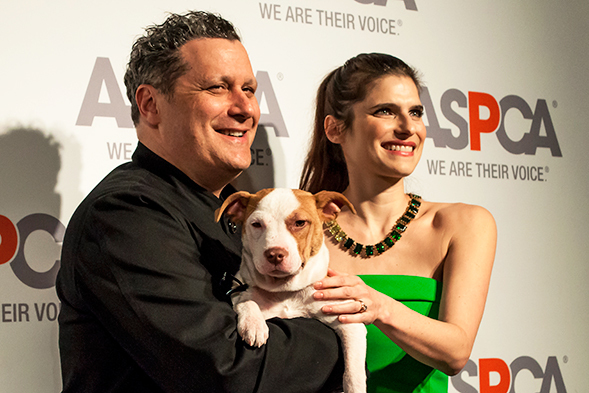 Emceed by actress Lake Bell and designer Isaac Mizrahi, the “pup art” -themed event was held at New York City’s Plaza Hotel and helped raise funds for the ASPCA’s lifesaving work on behalf of homeless, abused and neglected animals. Swank received the ASPCA Compassion Award, which recognizes individuals in entertainment and the arts who have made outstanding contributions to animal welfare by utilizing their creative talents and prominence to bring attention and action to the plight of vulnerable and homeless dogs and cats. 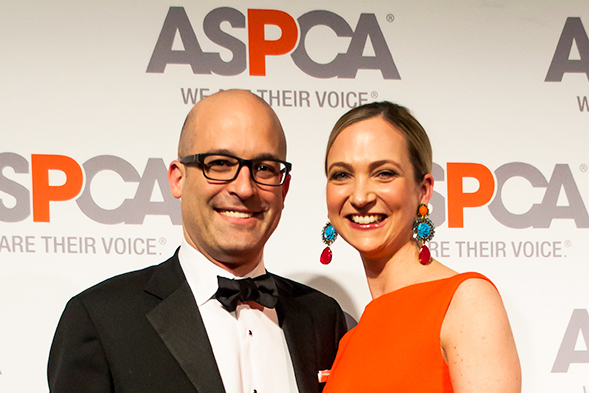 Falco received the ASPCA Voice for Animals Award, which recognizes influencers who use traditional and modern media to increase awareness and inspire action on behalf of animal in crisis in the United States. 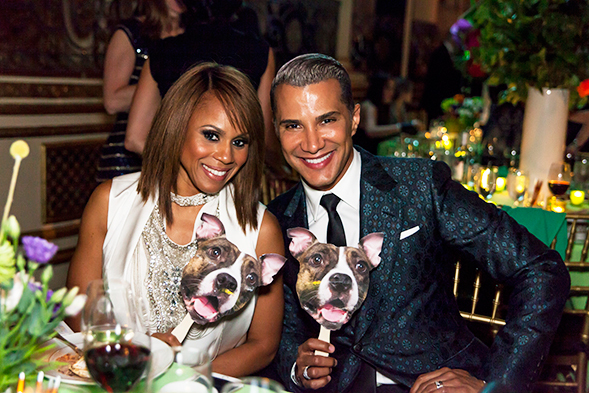 The event also featured playing cards that showcased photos of dogs at cats at the ASPCA Adoption Center in New York City, as well as dog and cat prints by Andy Warhol, licensed by the Andy Warhol Foundation for the Visual Arts. Posing as jokers in the deck are Bravo’s Andy Cohen, with his dog Wacha, and actor Nathan Lane, with his dog Mabel. Thanks to everyone who attended, and congratulations to our 2015 award recipients!